Air Ministry Pamphlet No. 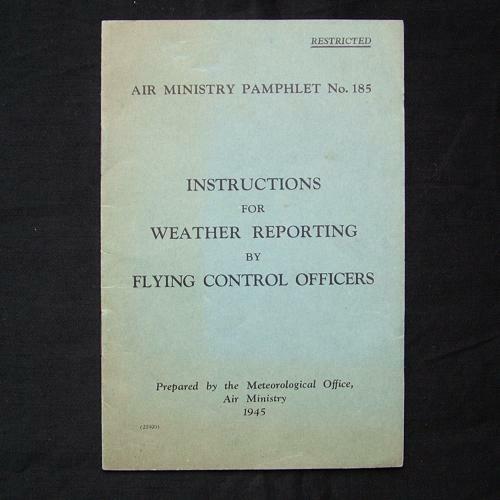 185 - Instructions for Weather Reporting by Flying Control Officers. Prepared by the Meteorological Office, Air Ministry, 1945. P/b, 12 x 18cm, 8p. Essential information for FCOs in flight planning. Information on observation, barometric pressure on the airfield, clouds and visibility, wind etc. Some marking/fading of the cover but in good overall used condition. Stock code P22873-92.